The 18th IOPD International Conference was held from the 25th to the 27th November in Barcelona and welcomed 600 attendees from all around the world. There were three days of intense debate and exchange of experiences about direct democracy, citizen initiative and ecosystems of inclusive democracy, from a local government perspective. In total, more than 600 people came to the conference from 188 cities and 57 different countries. Among them, there were more than 180 speakers of 49 nationalities. The conference started the 25th November with an elected officials round table. The councilor of the Barcelona City Council Gala Pin and the IOPD General Secretary, Fernando Pindado, welcomed the attendees. After that Emilia Sáiz, UCLG General Secretary, moderated the round table. On the other hand, the afternoons of the 26th and 27th November two open conference were held. The first, Open conference: Citizen initiative: Collect signatures or draft laws in a collaborative way? with Claudina Sarahe, chief experimentation officer at Composites Collective, New York, and Yanina Welp, main researcher in the Centre for Democracy Studies, at the Universität Zürich. The second, Let’s vote! Local direct democracy in theory and in practice, counted on the participation of David Altman, professor of Political Science at the Pontificia Universidad Católica de Chile, and Donatella della Porta, director of the Centre on Social Movement Studies (Cosmos). We list below the highlights of the conference. Publication of the report "Influencing politics with signatures? Models and experiences of local citizens' initiative"
This paper was introduced in one of the conference roundtables. It was written by Pau Alarcón, professor at the Pompeu Fabra University; Patricia García Espín, researcher at the Instituto de Estudios Avanzados-CSIC; Joan Font, researcher and director of the Instituto de Estudios Avanzados-CSIC; and Yanina Welp, main researcher of the Centre for Democracy Studies at the Zurich University. The study seeks to contribute to the knowledge and reflection upon the participatory tools that enable citizens to initiate a process of signature collection, with the aim of influencing municipal institutions. These participatory tools haven't been object of study at the local level and, if they are well designed, they can open new channels for social implication. The study has counted on the support of the IOPD and the Barcelona City Council. 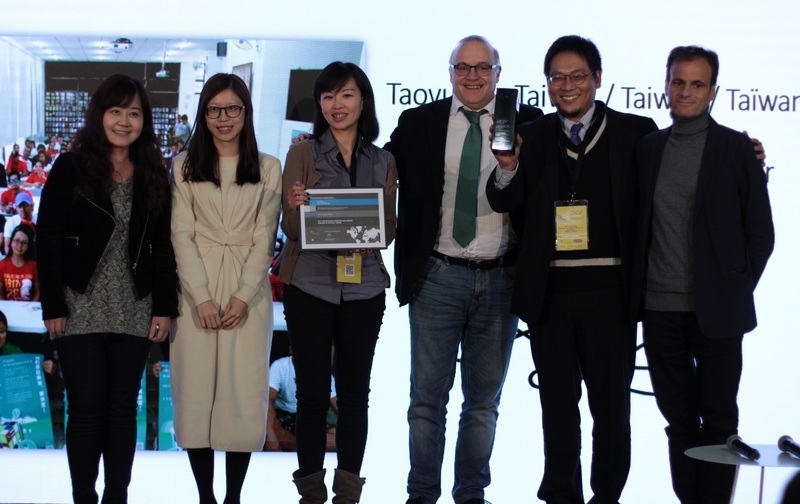 The city of Taoyuan, Taiwan, was awarded during the closing ceremony with the 12th IOPD Award "Best Practice in Citizen Participation". The Asian local government stood out for submitting an innovative proposal from a participatory democracy perspective. Despite having a limited budget, the city has given voice to migrant workers who live there in order for them to discuss about participatory budgeting practices. Notwithstanding the language barrier, Taoyuan has reached the goal of multicultural inclusion through a participatory process and with a clear methodology. During the closing ceremony, the five special mentions from this edition were also revealed. If you want to read more about it, you can follow this link. During the General Assembly, it was announced that Iztapalapa, Mexico City, will be the next IOPD presidency. Among the responsibilities that it will undertake, there is the celebration of the XIX IOPD International Conference next year. Besides being disclosed the name of the next presidency, during the IOPD General Assembly the Agenda for Local Democracy created by the observatory was unanimously approved. The agenda aims to be a reference guide for local governments which want to improve their democracy and, in order to do it, IOPD members and experts have collaborated in its co-creation process through the PARTICIPATE OIDP platform. Thanks to all your Twitter interactions, the 26th November in the morning the hashtag #OIDP2018 was trending topic in Catalonia. During the conference, attendees were encouraged to share their thoughts through social media, with the aim of spreading the roundtables and workshops content. We remind you that, if you want to see and download the photos of the conference, you will find them in the IOPD Flickr.